← Sue Neill-Fraser – justice delayed … deliberately? Sue Neill-Fraser (then 55) was arrested on August 20, 2009 for the January 26, 2009 murder of her partner, Bob Chappell (then 65). 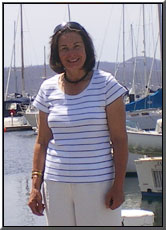 She was accused of having murdered Chappell on board their jointly owned yacht, Four Winds, and dumping his body in the Derwent. 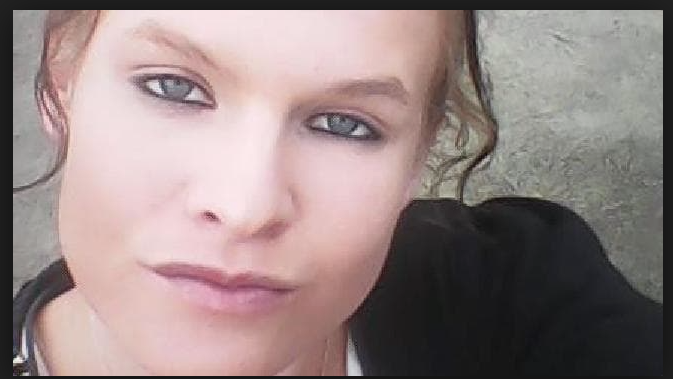 There was no evidence to link her to the crime, but when her claim of being at Bunnings that afternoon could not be verified, she was branded a liar by police and had become the only suspect. Amongst the evidence collected at the crime scene was a strong sample of DNA taken from the deck of Four Winds. But the DNA, one of the most powerful tools in crime investigation, was completely ignored as police targeted Sue Neill-Fraser. There was no immediate match with anyone in the database. Imagine the consternation within the police and the Office of the DPP when on March 15, 2010, a match popped up in the system. It was a solid match with a Hobart girl – then homeless 15 year old Meaghan Vass (pic at right) who had been arrested on an other matter and her DNA taken. Crash! went the narrative of the case against Neill-Fraser. Here was DNA on the boat that came from a stranger. Contrary to what may seem to be proper crime investigative practice, the new and potentially explosive DNA was an issue that seemingly had to be neutralised to protect the prosecution case. Once that fateful decision was made, to try and deny the import of the DNA, a chain reaction of minimisation and discrediting was set off. It stretched all the way from the trial to the High Court. At trial, then DPP Tim Ellis SC, dismissed the DNA as ‘a red herring’. Meaghan Vass was put in the witness box but her denials of being on the boat were readily accepted and even after it was discovered that she had lied about her whereabouts that night, Ellis objected to her being recalled and the judge refused to allow it. SUBMISSIONS – MR GUNSON SC (defence counsel): Your Honour, I want to have Meaghan Vass recalled on a number of grounds. Your Honour will first recall that Meaghan Vass was not a person listed in the Crown papers as to be a witness, we had no proof from her and she gave evidence yesterday morning which was extremely limited and the substance of the evidence was, in a nutshell, she didn’t go on board the yacht, Four Winds, on the night of the 26th January 2009, and she gave evidence that she believed – and this is page 634 – she was living at Stainforth Court and there was a debate about whether she’d earlier in the Basha enquiry told the Court she was Annie Kenny House and there were some questions about that, and she really couldn’t answer why she couldn’t remember where she lived, and she said she’d never been to Constitution Dock at the relevant time or Clean Lift Marine at Negara Crescent. Now during the course of evidence Mr Grosser the Crown advanced, that’s the best word, the transfer of DNA theory, suggesting through Mr Grosser that DNA had got onto the deck as a result of being taken there on the feet, as I understood it, of people who may have gone on the yacht at either on its moorings or in Constitution Dock. Now whilst I asked her about Constitution Dock, had she been there, she said she hadn’t. HIS HONOUR: Just a minute. I didn’t ask you, Mr Ellis, do you oppose these applications? MR ELLIS SC (DPP): Yes, your Honour. HIS HONOUR: All right, yes. Go on Mr Gunson. MR GUNSON SC: I’d assumed that, your Honour. MR ELLIS SC: – because it has been foreshadowed before my learned friend told you. HIS HONOUR: Yes, all right. Back to Mr Gunson. MR ELLIS SC: Can I have that file back please so we can both look at that, thank you. Sorry to keep bothering you about Meaghan Vass’ DNA, and this is probably a classic of how long is a piece of string question, but I have numerous photographs depicting area 11, the site of the DNA with people in that area, as it is the location of the gate to board the yacht and an area that’s been the subject to a lot of foot traffic from the initial police attendance, to the towing of it by the insurance company, and the removal of items on it prior to FFST exam. 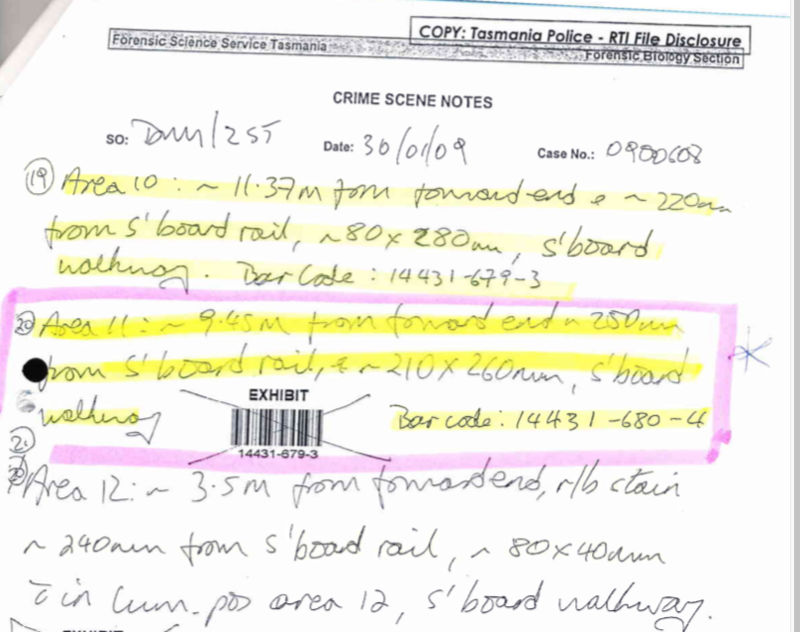 My million dollar question is, given the strength of the DNA sample, is any of this evidence that it was unlikely the sample has been in the area from the time the vessel was initially bordered by police at 0700 on 27/1/09, sample taken on 30/1/09. I know I’m a pest but this girl is adamant she hasn’t been on the yacht, so I’m just trying to work it all out, or possibilities, that is. I am reluctant to believe her but I do think that she – was in some involved etcetera she would at least tried to account for how the DNA got there, but she’s adamant she hasn’t been on any vessels at all and nothing to do with boats. MR ELLIS SC: Can you tell me which tab that’s behind please? There was an area, the black outline in the photos, of positive luminol which suggests the presence of blood. However, our testing of the swab taken from the area was negative for the blood screening test, suggesting that we cannot confirm the presence of blood. Given the strong DNA profile that we obtained from this swab,I’d suggest that this is indicative of the presence of a relatively large amount of DNA which is more likely to come from bodily fluids, blood, saliva, than a simple contact touching event. So basically we cannot say of any certainty where the DNA may have come from. The positive luminol result suggests that the source may have been blood, and the fact that this was an external surface means there may have been washing or weathering events that have prevented us from being able to definitively identify the presence of blood. More complex scenarios such the luminol result, coming from an older event, e.g. an old stain which has been overlaid by more recent events, which is where the DNA came from, e.g. spitting on the deck cannot also be ruled out. I hope this makes sense. Now I would want to put that particular piece of correspondence to Mr Grosser. As I say, we didn’t have this before, and I’m not going to criticise my friend for not making it available, but nonetheless it’s a document that we’ve only just got hold of today. I would’ve put it to Grosser if I’d know about its existence. They are my two applications, your Honour. SUBMISSIONS – MR ELLIS SC: Yes, your Honour. Both applications seem bound up in my learned friend’s particularly, with respect, narrow view of possibilities and probabilities and the role that he thinks that evidence from witnesses can play in illuminating those possibilities. Now we have from Meaghan Vass already evidence that she has not been on board that boat, that will not be changed in the least by her being taxed about her whereabouts on certain days, nor will it alter the fact that the possibility is that the DNA found on the deck came in some way from a transfer. That possibility in turn will not be affected by where she was at any particular time when it is understood that someone may have contacted her DNA even enlarge prospects on getting into a car, driven down to, say, Constitution Dock, hopped out of the car and got straight on board. 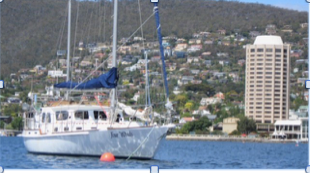 It will not be affected by the fact that someone may have equally contacted on their footsteps or in some other way her DNA and gone to Marieville Esplanade and got on a dinghy and alighted on the Four Winds at any time– at any time it was moored in Hobart, because there doesn’t seem to be any real prospect that it may have got there a year ago so they’re all possibilities of which we already had, with respect to my learned friend, a long and ultimately pointless cross-examination of Mr Grosser of matters that are best left and only should be left to address, namely matters of possibility. As your Honour has pointed out where Meaghan Vass on a particular night was will not – where she was in Hobart on a particular night will not illuminate the question of how it might be that her DNA was found in one patch only, one patch only, of a vessel which was sunk using, it seems, sophisticated intimate knowledge of a vessel and its workings, so these are all matters of possibility. Now my learned friend can address on them but they are not the realm of the witnesses to be badgered into concessions and then produce to the jury as if, “Ah ha, there’s the definitive answer on possibilities”, because it’s simply not. Now the same will be with Mr Grosser. My learned friend has had evidence from him and others that it was a relatively large patch of stain which contained a strong reaction to DNA which suggests the presence in someway of blood somewhere in that stain, that’s all that can be said, and he was badgered up hill and down dale about that all with a view to having him talk about the possibilities and probabilities – well possibilities really of how it got there. Those possibilities are limited by the witness’ imagination, that’s all. And so if Mr Grosser is not a particularly imaginative or a person – or a person who can think in the logical step such as the one that didn’t occur to him, such as that someone steps in something from Ms Vass, gets in the car and virtually immediately goes on board– goes on board the Four Winds that would explain it, there may be others – other people better than me at teasing out these possibilities, and so none of these things are witness questions, in my submission, and to get young Ms Vass back in for a bit more nasty badgering about where she was on what night would not only be pointless but totally unfair, a girl who’s had no fixed address, been paraded back in to be badgered about this when – if it’s my learned friend’s case that she committed this crime, well let him put it to her. But he hasn’t done so in the opportunity that he to do so and there’s no reason he should be given another opportunity to badger her about matters which do not affect the possibilities concerning the presence of her DNA in one patch on a crime scene, in my submission. HIS HONOUR: Your reply, Mr Gunson? IN REPLY – MR GUNSON SC: Yes, my friend well knows that I cannot put to that witness the proposition that she committed the crime of murder on board that boat without there being some evidence to support it. What I might put to her tomorrow or any other day if I’m given leave to have her recalled, might be different thing depending on the nature and quality of the answers I get to the further questions that I submit should be asked of her. Nobody could properly have put that suggestion yesterday to her based on the limited amount of information that was available at that time – and I make the point yet again. This person was called as a witness without there being any prior statement, we had to deal with it as it fell – that’s all we had at the time. We now have, as a result of what’s been found in the file from Mr Sinnitt much more information, much more significant information and had I not called for that file to be produced we would never have known about it. If it please your Honour. 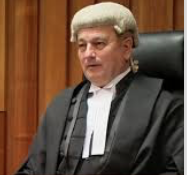 RULING – HIS HONOUR: Well, I think the application to recall Mr Grosser, it has less merit than the application to recall Ms Vass. Mr Grosser could have been – well there was ample opportunity to cross- examine Mr Grosser yesterday, and in my view, what he has said to have written in his email of 18th March is unsurprising and doesn’t raise any sufficiently new or different or surprising matters that would warrant his recall, in my view. So far as Ms Vass is concerned, now that there is information that on the 26th of January was staying at Mara House and told the – told someone there that she was going to spend the night at a particular address with a particular friend, then it may be that if it were put to her that there was a night when she had such a plan, that her memory might be jogged in some respect. The question is whether, if her memory were – as to where she went that night were jogged in some respect, that the possibility of her giving new evidence of any relevance would warrant the – her being recalled and the time and inconvenience taken to get her back and have those matters put to her. I’m very conscious of the fact that this is a murder trial and you can’t have a more serious charge. But the question of just where Meaghan Vass was and what she did on the night of the 26th of January seems to be peripheral when her version of events is unshakeably, or apparently unshakeably, that she did not go onto the Four Winds, that she didn’t go to the slip yard at Goodwood and that she didn’t go to Constitution Dock at or about the time that the boat was there. In my view the prospect of Meaghan Vass giving significant evidence if we called is so slight as not to warrant the time taken to recall her. Having regard to how significant her evidence might be and how likely it is that she might say something of any relevance at all I think we’d be wasting time and that there’s no realistic prospect of it making any significant difference if she were recalled. So I won’t ask the prosecutor to recall her and I won’t take steps to order her recall, and the same goes for Mr Grosser. 2) The prosecution – at trial on September 30, 2010 – insists on its ‘transfer’ hypothesis, ignoring the advice of Carl Grosser (forensic scientist at Forensic Science Service Tasmania), who in March 2010 had told Detective Sinnitt in an email: Given the strong DNA profile that we obtained from this swab, I’d suggest that this is indicative of the presence of a relatively large amount of DNA which is more likely to come from bodily fluids, blood, saliva, than a simple contact touching event. Readers may find several other aspects of this exchange troubling. An application for special leave to appeal was argued in the High Court on 7 September, 2012 and refused by French CJ and Crennan J (Neill-Fraser v The State of Tasmania  HCATrans 213 (7 September 2012). The appeal concerned the test that the court had used at trial to not allow the recall of the homeless girl Vass after she had given evidence and it became apparent from the evidence from a police officer (that had not been previously disclosed to the Defence) that Vass had lied to personnel at Mara House about her movements on the night and given a false address – evidence which was later ruled to be inadmissible. At the High Court, then defence counsel argued that the finding of the DNA was a very important and powerful consideration because it pointed to a hypothesis consistent with Sue’s innocence. There was discussion about the potential significance of her evidence with the DPP arguing that there was “nothing else to connect her [Vass] or make her a remotely possible suspect except for the presence of a swab of DNA” (at page 11). 1) It can be argued that the High Court was not properly informed, as it is now clear that the DNA was deposited in the normal way – that was a point of substance. It is important to note that there was never any suggestion by anyone that Vass was in any way responsible for Chappell’s death. But her DNA indicates that she was on the yacht and would have known what happened – as a witness. Frightened and vulnerable, she chose to deny being there. That suited the prosecution case perfectly. I believe Meaghan Vass has some involvement in the murder. She is inconsistent and irrational. She may have help dispose of the body with the boyfriend as she show signs of post traumatic stress. I suffered PTSD after my landlord died from natural causes in his lounge chair at home. Mostly because I didn’t hear his son calling for help to revive him but also because I’d never seen a dead person before, least of all one I cared for. Remember, Ms Vass was just a teenager and what she witnessed was far more brutal and gory than what I experienced. I believe much of her erratic behaviour to be consistent with drug use. I can’t see how a homeless teenager might deal with such shock in any other way than to bury it with drugs/alcohol. If this DNA rebuttal has gone to the Supreme Court (where appeals are heard, right?) then, wouldn’t the Judge’s ruling in this case become a future precedent in other cases involving DNA evidence? And, if I am on the right track here, haven’t they just cut their noses off to spite their faces and discredited all DNA evidence period – even when it forms the basis of guilt? Or is there some trickery of the legalese that I have missed that covers their asses either way? Not that I’d like to see ruddy great holes stomped in the rule of law where real criminals can get off scott-free but it entertains me to think the Judge has monumentally screwed up here and will have to reconsider it at some stage… wishful thinking perhaps? True ! And it was passed over! This case has so much about it that is circumstantial. I’d say she’s urinated or vomited. It matters not in the overall picture; it was MV’s DNA – a substantial amount. The question at the moment ..Was Miss Vass bleeding when the police went to question her if not How did a Police Offices have DNA transfer Miss Vass’s get on the sole of the sole of the Police boot ??? I thought it was suggested by Colin McLaren that the DNA was vomit (although the transcript refers to saliva) Vomit could have blood/ blood specs in it. Somebody else may clarify further. My belief is that as time passed, forensic testing (details available and discussed elsewhere) indicated it was not blood; rather be saliva. Because of the size of the deposit I believe vomit was suggested as a possibility. For the mean time, could Sue get a pardon from either a Premier, Prime Minister, Governor General or maybe even the Queen? It still needs tearing open;exposing the truth. How the passage of time, proper research/examination, changes details re matters at issue. There’s much in this article that warrants additional comment. For now, I’ll leave it to other readers to arrive at their own informed conclusions, based on the facts as above-listed. Certainly no speculation needed here. and to get young Ms Vass back in for a bit more nasty badgering about where she was on what night would not only be pointless but totally unfair, a girl who’s had no fixed address, been paraded back in to be badgered about this when – if it’s my learned friend’s case that she committed this crime, well let him put it to her. It worked! Blow J refused the application and as they say, the rest is history. Yet another hmmn. I’m wearing it out lately.